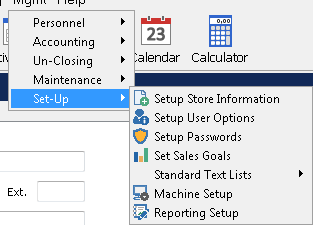 Here you can see a list of reports that have been set up for use when right-clicking an order in the Explorer or when Printing a report from the toolbar with an order open. Highlight any report and utilize the Move Up and Move Down button just above the report list to edit the order in which reports appear. Note: you must restart SMS in order for these changes to take effect. 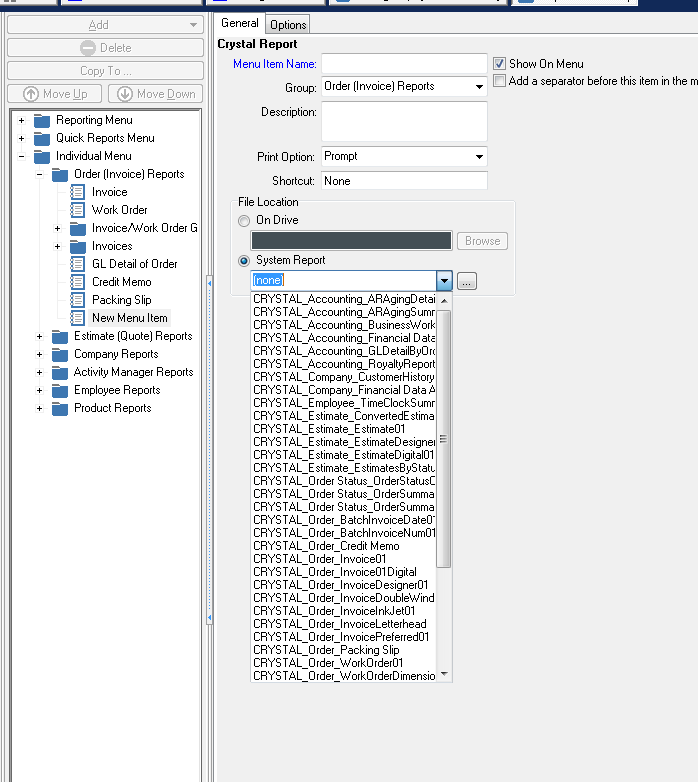 In addition to Cloning an already existing Report for an alternative configuration, you can also Add a completely new report to your Order (Invoice) Reports. To do this, click the Add button at the top of the window. For this example we will Add a new Crystal Report.